Gooner's Diary: Fit To Wear The Shirt? 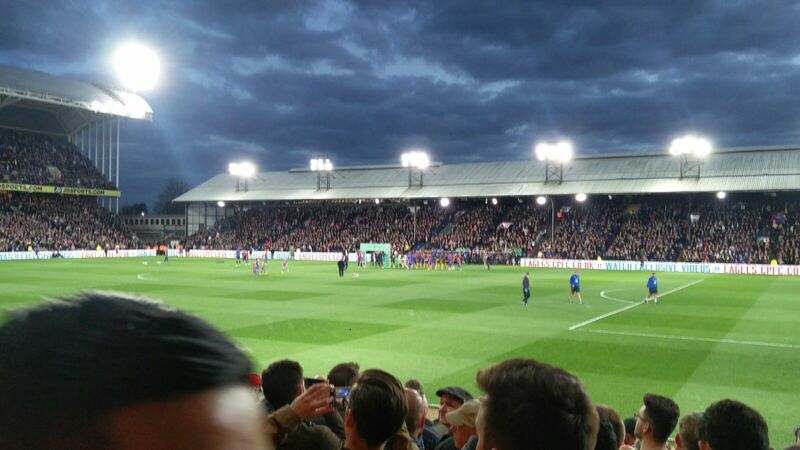 I intentionally avoided joining the chorus of condemnation resulting from Monday night's capitulation at Selhurst Park, but after watching some of the contrastingly competent displays in the Champions League these past couple of nights, I've been left struggling to hold my tongue. There was me mistakenly believing that the Gunners had hit rock-bottom in our abysmal defeat to the Baggies, hoping that our players would find themselves sufficiently shamefaced that this disaster might serve as an educational benchmark, of the almost inevitable outcome when one fails to turn up for a game in the competitive environs of our domestic campaign. More fool me because as Theo Walcott unwittingly revealed in his post-match remarks regarding Palace "wanting it more", sadly it seems as if there's very little shame remaining, amongst the obscenely rewarding upper echelons of top flight football and apparently the little shame that does exist soon evaporates, by the time players arrive home and wrap themselves in the comforting consolation of their Croesus-like bank statements. Meanwhile, before I begin venting my wrath, we Gooners should never forget quite to what extent the slings and arrows of the Arsenal's fortunes need to be viewed from the perspective of how outrageously spoiled we've all become over the course of Wenger's long tenure. Unaccustomed as we are to being the laughing stock of British football and to the merriment being had at our expense, we still need to remind ourselves that barring about four other teams, fans of virtually every other club in the country would be only too delighted to find themselves chasing Champions League qualification (albeit an ever waning chance!) and a Wembley semi-final outing at this point in the season. As much as we might belittle the consolation prize of Wenger's astonishingly consistent achievement of a top-four finish, both fans and players alike seem to have grown to believe that we have some sort of divine right to a seat at Europe's top table. In a similar vein, our record of success at Selhurst Park is such that we turned up on Monday night seemingly expecting the Eagles to roll over and present us with the three points on a plate. In the past I can recall revelling in those occasions when Palace have survived a relegation battle, in the certain knowledge that they'd provide us with a guaranteed six points the following season. Yet while we've usually been able to trust to the enhanced talents, afforded to us by the Arsenal's vastly superior resources, Palace have rarely proved a pushover on their home patch and we've invariably needed to earn the right to return to North London with all three points. Moreover, with Sam Allardyce having seemingly suffered over the course of his enduring slog of a managerial career with the weight of a substantial chip on his shoulder, related to his perception of the increased (and often unmerited) respect afforded to foreign managers, there are few opposition managers who relish more a rare opportunity to put one over on le Prof than BFS. Much to my dismay, the current malaise at the Arsenal appears to run so deep that right from the opening forays on Monday night, where we witnessed the slovenly fashion in which Alexis gifted Palace possession with his first three touches of the ball, it seemed patently apparent to me that the club was guilty of a gross dereliction of duty, in neglecting to impress upon our players the likelihood that they'd be leaving Selhurst Park with diddly squat (other than their tales between their legs), unless they at least showed willing to pull their collective fingers out. I've been watching the Gunners play for long enough that one comes to accept the fact that every dog has it's day and every unbeaten run comes to an end, eventually. Yet it was the manner of Monday night's defeat that was so deeply disturbing. It's said that one learns a lot more about players in defeat than one ever does when they are winning and 0-3 down still with 20 mins to play, my instincts told me that this was an Arsenal side who've grown so accustomed to taking Champions League involvement for granted that they've lost all sense of what it means to be cast into the relative anonymous European wilderness of the Europa Cup. That is unless they've already given up on Champs League qualification and are intent on avoiding the ignominy (and the apparent disadvantageous impact upon one's domestic campaign!) of regular Thursday night footie, by finishing low enough to ensure we avoid Europa Cup qualification! For if the Gunners were truly fearful of missing out on Champion's League footie then surely we would've witnessed more of a reaction? In a similarly calamitous predicament, the forceful characters from the Arsenal sides of yesteryear would've been bellowing their anger at one another and would've been taking their immense frustration out on the opposition, likely getting themselves sent off for kicking an opponent up in the air. At the very least they would've been pulling out all the stops, to try and get the travelling Gooners back onside, by at least providing them with some cause to proudly affirm their fealty. I fondly recall defeats in the past, where we've spent the last fifteen minutes relentlessly proclaiming "we love you Arsenal" because despite having failed, it's not been for the want of trying and we've watched them throw the kitchen sink at the opposition, leaving us all with the sense (no matter how misguided) that our players respected the shirt sufficiently to at least make the effort to show quite how much the outcome mattered to them. Thus it was the abiding sense of apathy amongst the Arsenal on Monday night that was most distressing and which left me feeling that our club is in desperate need of a major shake-up, both on and off the pitch. I hear all these names being bandied about as potential replacements for Wenger, but if I'm honest, I've not watched enough of the football played by their assorted current and former employers, to be able to attest to anyone's ability to fill Arsene's shoes. Additionally, while we are all crying out for change, few Gooners seem to appreciate the likelihood that Wenger will probably be the single most influential voice, when it comes to selecting his replacement. So even if the staid, PR conscious suits on our board were willing to risk the club's reputation on appointing the sort of hot-headed, heart on his sleeve, emotive manager that many Gooners would prefer to see on the bench, it's hard to envisage such a character earning Wenger's seal of approval? Max Allegri seems to be flavour of the month as far as the media are concerned and while I might know next to nothing about the Italian manager, watching Juve's performance against Barca on Tuesday night, I was immediately struck by the regimented, disciplined way in which their defence limited the opportunities offered to Barca's prolific MSN. For much of the match it was as if Juve's two banks of four were attached to one another, like two bars of men in a game of table soccer, all moving machine-like, in complete unison. What I wouldn't give for just a little of this sort of supremely well-drilled defence at the Arsenal!! In distinct contrast to the Gunners, I can't recall a single incident where Juve's two warhorse centre-backs were left exposed, without assistance, to being exploited by Barca's more fleet-footed strikeforce. Moreover, on the rare moments when the likes of Neymar or Suarez posed a risk in the penalty area, I was struck by the absence of panic and the composed way in which they were able to nullify the threat, knowing that even in the event of failure, Barca still had to beat the imposing, authoritative presence of Buffon. I don't watch much Italian footie, but it was evident that Juve defend in the same staunch fashion of our own former fab back four, who's parsimony gave rise to the "1-0 to the Arsenal" anthem. And with one of these sat alongside as Wenger's assistant for some time now, I must admit to being utterly mystified, when it comes to Stevie Bould's apparent inability to drum even the most basic of defensive principles into our current defence. Even with my sadly, rapidly failing memory, I can still recall the cries from the touchline for me to "stay on your feet" when I played as a full-back some forty years ago. OK so there are moments when a defender has to risk all and commit themselves to making a tackle, but witnessing Mustafi, a World Cup winning International, diving in quite so recklessly over by the touchline on more than one occasion (even after he'd been booked!! ), where his opponent posed little threat, such ignorance of the most basic defensive principles just about sums up the unforgivably reprehensible, slipshod attitude of this Arsenal squad. In a similar vein, we're accustomed to seeing the pitch at our place well watered before games and at halftime, so as to provide the slickest possible playing surface, to best aid our passing game. But it's hardly a closely guarded secret that opposing teams do all in their power, within the rules, to negate any such advantage, by not cutting the grass, nor watering the playing surface when hosting ball-playing sides. And yet watching on Monday night, it was as if the Arsenal players were completely oblivious to the possibility that the ball wouldn't run as quickly on the Selhurst Park pitch. Perhaps it was just pure laziness that accounted for the infuriating number of times players in a yellow shirt lost possession, waiting for the ball to come to them, instead of moving towards a pass which had been under-hit, doubtless on account of the increased drag from the pitch. Admittedly, in isolation, such complaints are minor issues, compared to the lamentable lack of motivation and the woefully casual attitude of a team that was devoid of the intensity necessary to triumph in any Premiership encounter. Yet they are the sort of schoolboy failings that one would just not expect of a top-flight professional outfit that's supposedly spent the entire past week in preparation for this 90 minute encounter. As a result I can't help but wonder if they might be symptomatic of the extent to which the malaise at the Arsenal is so deep-rooted, where Arsene's long tenure has resulted in his staff taking their eye off the ball, complacently going through the motions, week in, week out, season in, season out? For me, it's not so much a question of whether or not Wenger is capable of turning around such weighty paddle-ship, following a decade of treading Premiership water. For me the problem is that Arsene lacks the same ruthless streak of the likes of Fergie because the man is far too loyal and as a result the stubborn old bugger is never going to throw the baby out with the bath water. So I have to believe that a complete regime change is essential, if only because this is the only way in which we're likely to witness the sort of total transformation of our squad that might result in an entirely different team within the space of a couple of seasons. There are several players who might benefit from a move and who we might end up regretting letting go, should they come back to haunt us, as they find their careers reinvigorated elsewhere. But sadly, the complete absence of any sanction at the Arsenal has enabled this stultifying aura of complacency to pervade the club, to the point where I could only envisage the majority of them achieving anything with a renewed challenge elsewhere. As far as I'm concerned, nothing short of a huge clear out and a complete turnaround of the playing staff is necessary to facilitate a squad full of players with plenty to prove and who perform with the constant insecurity of knowing they either shape up, or are shipped out. Who knows, this might well result in a disastrous period of transition. I don't know about anyone else, but personally I've reached such a low point, with my exasperation at the complete lack of gratification from watching an Arsenal side full of players who shirk responsibility, content to play sideways and backwards that as far as I am concerned absolutely anything would be better than the prospect of enduring the mere maintenance of this tediously tame status quo, amidst an abiding atmosphere of acrimony on the terraces. I hear folks complaining that Alexis isn't a team player, but no matter what your opinion, surely it can't be disputed that the Chilean is just about the only Arsenal player blessed with the attitude of a winner. He might all too often be guilty of losing the ball, but he alone is willing to take players on and to try and make something happen when it's stalemate elsewhere. I can totally empathise if Alexis is intent on leaving, as I've watched over the course of each season, as match by match Sanchez' smile has been wiped off his face and his joie de vivre has evaporated and he's become ground down by his team mates apparent reluctance to let rip, with them all unwilling to risk anything, contentedly going through their more safe, mediocre motions. Perhaps it's related to the fact that Alexis comes from such an impoverished background that he continues to appreciate being so richly rewarded for doing something that he loves, when his labour of love is more of a job of work for all those that have never known such hunger and who tend to take their privileged position for granted? But when this one player who's willing to at least try and impose himself on a game begins to hide out on the wing as he did on Monday night, then you know for certain that the Gunners are bang in trouble. Faced with a three-pronged attack of Alexis, Welbeck and Walcott, one would've assumed that the Eagles' greatest fear would be the thought of being exposed to such blistering pace. Yet such was the complete lack of tempo and intensity to our play on Monday that I can't recall a single instance of us breaking at speed to avail ourselves of our most potent threat. Surely such a total failure to bring this asset to bear constitutes the team's patent inability to put a gameplan into effect? As one of Granit Xhaka's greatest critics, I have to admit that he alone conjured about just about the only couple of decent, incisive forward passes all night long. Perhaps Xhaka might prove to be a slow burner and he will progress in his second season, but personally I feel he's the sort of player who might prosper in the less frenetic environment on the Continent, but who appears to lack the speed of thought, the composure and to date, the talent to flourish in the Premiership. Yet no matter whether or not Xhaka has the innate ability necessary, as far as I'm concerned he's not blessed with the attitude, the essential drive and determination that's vital for someone to produce the intensity required to be effective in such a pivotal role, as the Arsenal's fulcrum in the middle of the park. When one considers that we started this season with such an over abundance of talent in the middle of the park that Jack Wilshere wanted out, frankly it's hard to believe that we've been left reliant on the limited creativity offered by a partnership of Xhaka and Elneny. Do we think that Wenger is any the wiser as to his first choice pairing in this position? The moment I realised that these two had retained their places in Monday night's starting XI I wondered who was going to pick the lock of the Palace defence, as such is their reluctance to try and impose themselves upon proceedings that we are left relying on an increasingly rare Ozil cameo, or Alexis forcing the issue. Moreover, such is Xhaka's apparent unwillingness to break sweat that Elneny is left having to do all the hard graft. And if these two struggled to contain Palace and failed to provide our centre-halfs with sufficient cover amidst the tight confines of Selhurst Park, I dread to think to what extent Man City might be able to make hay, exposing our defensive frailties on the wide expanses of Wembley? But before that we've another potential banana skin at Boro on Easter Monday. If some results should go our way over the course of the weekend, it will be interesting to see if the Gunners have the capacity to bounce back and take some advantage. Surely if there was one team you would want to be facing, in the hope of our positively porous defence rebuilding some much needed confidence, it would be the goal shy Teesiders? Should we flounder again at the Riverside on Monday, it's likely to prove uncomfortable journeying around the North Circular to Wembley the following Sunday, full of trepidation at the prospect of being tonked by City and worse still the utter dread of surreptitiously sneaking down to the wrong end of the Seven Sisters Road the weekend after, with a team that (it depresses me to admit!) appears unfit to wipe Spurs boots at present! Testament to quite how bad things are for us Gooners at present can be judged by the fact that my Spurs mates (more of whom seem to be coming out of the woodwork with each passing day) are now so confident of finishing above us for the first time in 22 seasons that instead of taking the piss, they're able to wind me up even more as they've taken to sympathising with me. I wonder if Wenger has circled 1st May as the date to reveal his intentions, hoping he can announce a contract extension on the back of the ecstatic celebrations of an unexpected Derby Day victory, or alternatively where defeat might finally persuade le Prof that there's absolutely no hope of redemption this time around? Many Gooners are convinced that Arsene intends to linger for at least another season, but if the Gunners should continue on such a depressingly steep downward curve, surely there must come a point where the level of disapprobation from the terraces will be such that even he and the seemingly impervious suits at the club will find the clamour increasingly impossible to ignore. Meanwhile, I was no less aggrieved than anyone else by the Gunners abject failure to demonstrate their commitment to the Arsenal's cause and the complete absence of anyone playing in a yellow shirt showing some balls on Monday night. Yet bearing in mind our "victory through harmony" (Victoria Concordia Crescit) motto, instead of spoiled Gooners spitting out our dummies, perhaps we'd be better off taking a leaf out the book of the 30,000 Boro fans who turned out to loyally support their uninspiring side against Burnley last weekend, despite being six points adrift at the foot of the Premiership, facing the increasingly looming spectre of relegation and the dreaded drop back into the comparative obscurity of the Championship? Our loyalty should be to the Arsenal's cause, rather than to that of its relatively ephemeral existing employees and perhaps there's far more kudos to be had from serving notice to the club's more disrespectful mercenaries of what it means to proudly renew our unspoken contract to maintain our unstinting support through both thick and thin. A Sentimental Last Stroll Down The Lane?